Your restaurant’s nightly checklist must be followed to the letter in order to keep your business in great shape and ready for the next business day. Every item must be thoroughly washed and sparkling clean daily; the kitchen flooring, stovetops and ovens, utensils, pots and coffee makers…. And then there’s the front of house - bathrooms, host stand, and bar area with all your glassware that needs attention. But you and your team have it all handled, every day. A lot of restaurants have hardwood, which must be frequently maintained because of things like high heels, spills and scratches. That’s why some businesses choose to carpet their floors. A nightly vacuum and some spot treatment can do wonders when it comes to mold prevention and other issues, but a deep clean is also a necessity occasionally to maintain the carpets colouring and improve customers outlook on your business. Because of this, it is important to have deep cleaning on your cleaning checklist! Here at SERVPRO of Ajax, we are equipped to handle the toughest carpet cleaning jobs. Our business is experienced with cleanups from fire and water damage in both homes and large commercial enterprises, and mold remediation is one of our specialties! It reduces the need to replace supplies and equipment as often. It can help employees avoid illnesses and positively affect morale. Call us here at SERVPRO of Ajax for help with all your commercial cleaning needs. We are experienced in cleanup after water and fire damage, and mold remediation is one of our specialties! Our phone number is: 289-560-5124. The Canadian winter is a frigid and long one. Luckily most of us have dealt with it for years and know what to expect. But, being comfortable with winter sometimes mean we get lazy and don’t properly prepare our home for the winter months. 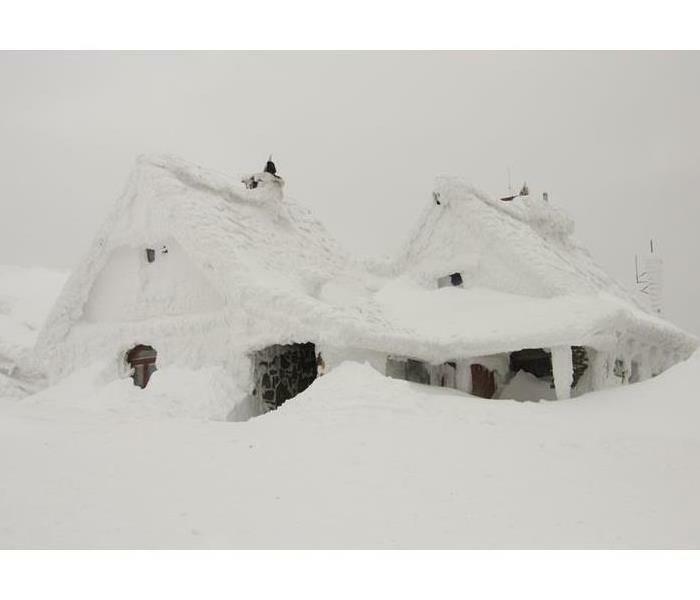 We can handle the winters, but can our homes? Here are some helpful tips to brush up on for when old man winter strikes. For heat’s sake have your furnace professionally serviced. A routine maintenance check each fall will help ensure your furnace is running properly and efficiently. Also, if you have an older thermostat, consider replacing it with a programmable one to save money on heating costs. Inspect all windows and doors for leaks. To prevent heat loss, make sure your windows and doors are properly sealed. Check the weather-stripping around windows and door frames, and replace where necessary. Also check for drafts and caulk both inside and out where necessary, to keep the heat in and the cold out. Sweep the chimney. Before you use your fireplace, make sure the chimney and vents are clean and in good condition by having your chimney looked at by a professional. This will help prevent chimney fires and carbon monoxide from building up and finding its way into your home. Clean out your gutters. It’s important your eaves are free of any debris such as leaves, dirt and sticks. Clogged gutters prevent the draining of rain and melting snow which could result in household leaks. Also, make sure your downspouts extend away from your house by at least five feet to ensure that water runs away from your house and not towards it. Inspect the roof. While cleaning your eaves, inspect your roof for any missing, loose or damaged shingles. If your roof needs attention call a roofer to help you with the repairs or maintenance. Also ask them to look at the caulking around the chimney and air vents. Turn off any faucets outside. Water left undrained can freeze, which can cause the pipes to burst. Disconnect your garden hose and drain the remaining water. Trim your bushes and trees. Make sure any overgrown bushes or trees are trimmed back away from your house and electrical wires. This will help decrease your risk of property damage and power problems. Pad exposed pipes in unheated areas. This is an easy and inexpensive method to help prevent water damage resulting from a frozen pipe. Even the smallest of pipes can cause a lot of damage. Pipes in the basement, attic or crawl space are some examples of pipes you may want to cover. As Alexander Graham Bell once said, “Before anything else, preparation is the key to success.” This advice can easily be applied to all aspects of life, including your business. Anything from water damage to fire damage to storm damage can completely overhaul a business. 50% of businesses are devastated so much by these disasters that they cannot reopen. The other 50% are able to jump back into action because they are ready. Learn more at https://ready.SERVPRO.com/home/gettingstarted, or call us at 519-460-5124. 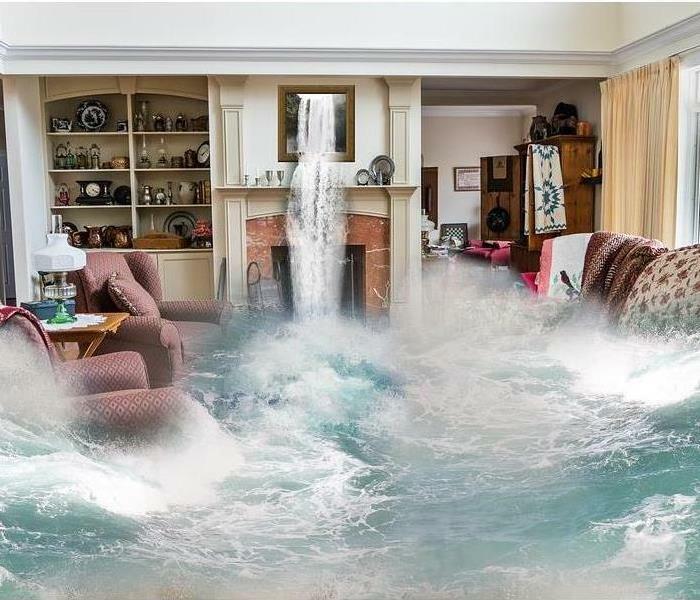 Water quickly spreads quickly throughout, being absorbed into walls your property, floors, upholstery, and belongings, saturating everything in its path. Furniture finishes may bleed, causing permanent staining on carpets and floors. Documents, photographs, books, and other paper goods start to swell and warp. Electronics in contact with the water are damaged. ONE – Within one hour from the notice of loss, a SERVPRO Franchise Professional will contact you to arrange for service. FOUR – Within four hours of loss notification, a SERVPRO Franchise Professional will be on-site to start mitigation services. EIGHT – Within eight business hours of on-site arrival, a verbal briefing of the scope will be communicated to the appropriate person. *Exceptions may apply under certain conditions, such as a local catastrophic event or storm situation. What to do until SERVPRO® arrives! After you have experienced water damage the first thing you should do is to shut off the water source if possible. Once the water source is stopped contact SERVPRO® of Ajax at (289) 460-5124. The faster mitigation begins, the less damage is sustained to your home or office. While awaiting our services there are certain steps that can be taken. Alert a restoration company to begin work as soon as possible to prevent further damage. Begin documenting damaged items and removing valuables from the affected area. Do as thorough an assessment as possible of all property that has sustained damages from the event. Look behind appliances, lift carpeting, check the crawl spaces and make sure you are using a light source that allows you to see exactly what is going on. Take pictures of all your findings, no matter how small. Once things dry out, you will have no evidence of what has happened, and that might be a problem. Contact your insurance company representative to file a claim. Document the claim number and adjuster contact information, this information will be critical for the restoration company to work with your insurance agency. Remove excess water from wood furniture after removing lamps and tabletop items. Move any paintings, art objects, computers, documents and other materials that are valuable or sensitive to moisture o a safe placed. Depending on the weather outside you can open windows to allow the humid air to leave the space. Remove as much excess water as possible by mopping and blotting. Wipe excess water from wood furniture after removing lamps and tabletop items. Place aluminum foil or wood blocks between furniture legs and wet carpeting. Avoid all contact with sewage and items contaminated by sewage. Wash your hands thoroughly if you encounter contaminated items. Discard any food and/ or products for personal hygiene and cleanliness if exposed to the contaminated items. It is highly recommended to contact professional help as soon as possible if there is flooding with contaminated water as it can be very hazardous to you and your family’s health. We are always here to help, where the water loss is big or small, clean or contaminated water and are a phone call away at (289) 460-5124. SERVPRO® of Ajax has got you covered when storms strike! Canada, especially Ontario, is known for its extreme weather. Scorching hot and rainy in the summer and unbearably cold and snowy in the winter. When you live through these conditions, you know they aren’t particularly friendly on your home’s structure. Being prepared is the first step, but if restoration is necessary SERVPRO of Ajax is the company to call for any of your home restoration needs. So the next time the lightning strikes or the snow rolls in, have our number ready in case the worst case scenario happens! Call 289-460-5124. A fire is never something you expect to happen in your building, however it is something that strikes commercial buildings daily. With that being said, it is important to make sure your employees/tenants are ready in case a fire happens to occur. Escape route map: Print out a map of your building and highlight the primary and secondary exits, the routes accessible for those who might be disabled. And where to assemble once safely evacuated outside of the building. Point out where fire alarm pull stations are located, as well as fire extinguishers and any other key items that are important in any emergency. Evacuation policies and procedures: This should outline evacuation routes, crowd control policies, how to assist people with disabilities and how to report fires. Special Staff’ Responsibilities: Decide where to draw the line on instructing employees to use fire extinguisher (if fire is small and contained) or to evacuate immediately. 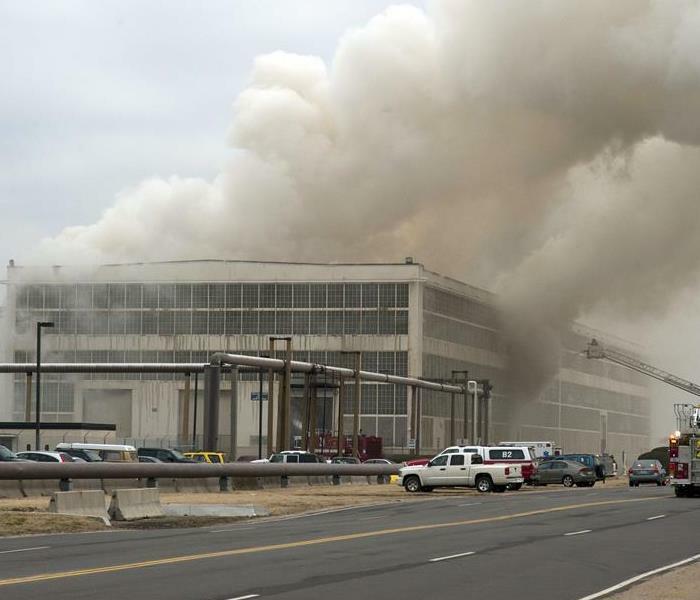 Some commercial offices require designated staff to stay behind to shut down critical plant operations for example. Make sure these procedures are in place if necessary. We must always be prepared in case fire strikes, but preventative measures are always the best to know, to help prevent a fire before it can even start. Keep up with routine maintenance. Make sure there is enough ventilation when utilizing any cleaning products. Get rid of any card board boxes/pallets regularly as pile ups tend to happen. This is a breeding ground for fire. Make sure all hallways and emergency exits are clear just in case an emergency strikes and evacuation is necessary. 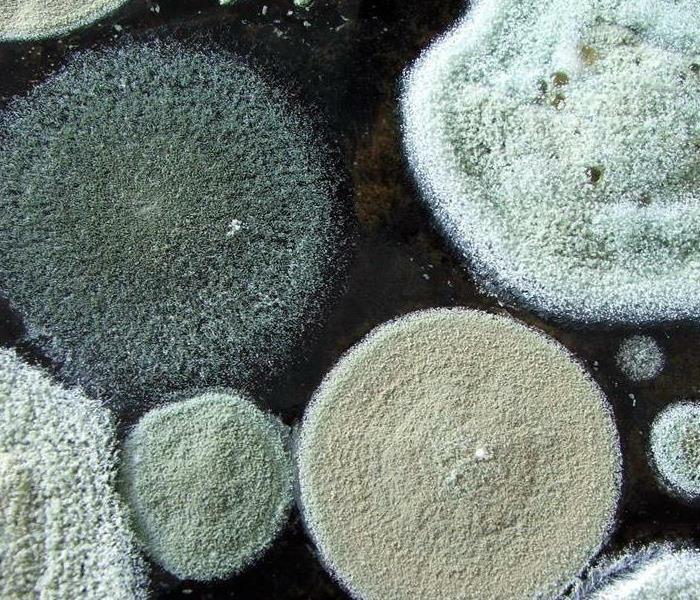 Mold comes in all shapes, sizes and colours. Learn how to identify the type of mold in your home and develop a plan of attack for treating it. The most common types of mold include aspergillus, cladosporium and stachybotrys atra (more commonly known as black mold). Aspergillus is a fairly allergenic mold that is regularly found in foods and in-home air conditioning systems. Cladosporium is typically a black or green “pepper like” substance that grows on the back of toilets, painted surfaces and fiberglass air ducts. While this mold is nontoxic to humans, it can trigger common allergy symptoms, such as red watery eyes, rashes and sore throat. Mold that looks orange or red is typically found outdoors, due to its nature to thrive on decaying plants and moist wood. This type of mold, which can appear slimy, is harmless and should only be removed for aesthetic purposes. White mold is not technically a type of mold, but the good news is that this typically indicates the mold is only in the early stages of growth and can easily be treated. Stachybotrys atra or black mold is a toxic mold commonly found in cellulose-rich building materials from damp or water-damaged buildings. When wet, Stachybotrys can look greenish black and slimy, but can also look sooty and black. It’s been associated with several symptoms which are highly controversial. If you find stachybotrys in your home, you must seek professional assistance immediately to remove it. SERVPRO of Ajax is here to help with any mold problems you may have, whether toxic or non-toxic. Call us at 289-460-5124 for more information. Despite what you may think, mold isn’t always visually seen or easy to find. Here are some of the most common warning signs that may indicate there is toxic mold growing inside your home. If your home has had any issues with moisture, condensation or other water problems, you can be certain that mold has started growing. Thus, if you had or have any water issues, you probably have mold and should hire a professional mold inspector such as SERVPRO® of Ajax make sure your home is safe. What were you doing during the Northeast blackout of 2003 in Ontario? 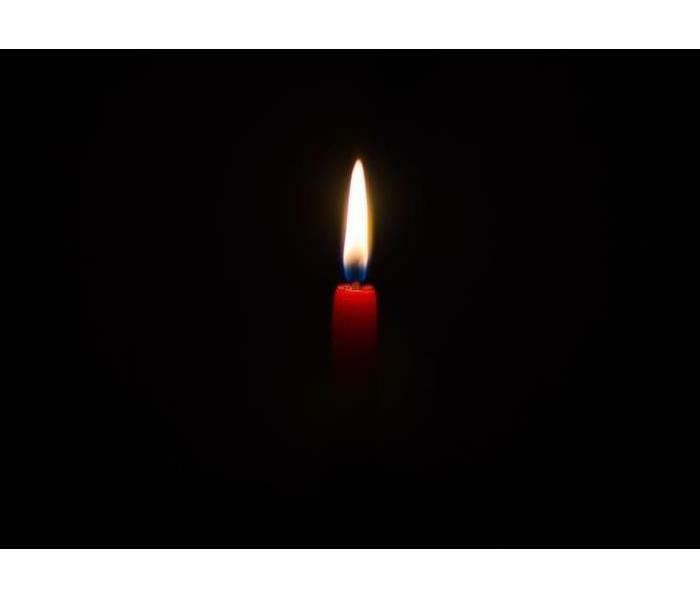 Just recently we celebrated the 15-year anniversary of the power outage that affected a whole province. Most of us didn’t have power for 2 days, some regions took nearly a week or two for power to be restored. Most of us were left struggling to live through a power outage during our hottest month of the year. If something like this were to ever happen again (even if it’s just for a few hours) make sure you are prepared. Here are a few helpful tips. If safe, go to an alternate location for heat or cooling – your local news organizations will provide you with areas with the appropriate amenities if need be. Ontario recently just programmed alerts to go out on any electronic device to warn people of extreme weather and so on. Make sure you have received a test of these updates. Use a thermometer in the fridge so you are aware of the temperature when power is restored. If the temperature 40 degrees or higher (4 degrees Celsius), throw food out. Keep mobile phones and other electric equipment charged and gas tank full. Keep freezers and refrigerators closed. The refrigerator will keep food cold for approximately 4 hours. A full freezer will maintain its temperature for about 48 hrs. Use coolers with ice if you need to and monitor the temperature of your fridge/freezer using a thermometer. Generators, camp stoves and charcoal grills should always be kept outside and away from windows to avoid carbon monoxide poisoning. Don’t use a gas stove/oven to heat your home. If safe, go to an alternate location for heat and cooling – your local news organizations will provide you with areas that have the appropriate amenities if need be. Turn off or disconnect appliances, equipment, or electronics. Power surges or spikes may occur and damage your items. Throw out any food that has been exposed to 40 degrees (4 degrees Celsius) or higher for two hours or more, or food that has unusual odor, colour or texture. If power is out longer than a day, throw out any medications that require refrigeration unless the label says otherwise. 11/15/2018 - What to do until SERVPRO® arrives! 11/12/2018 - SERVPRO® of Ajax has got you covered when storms strike!